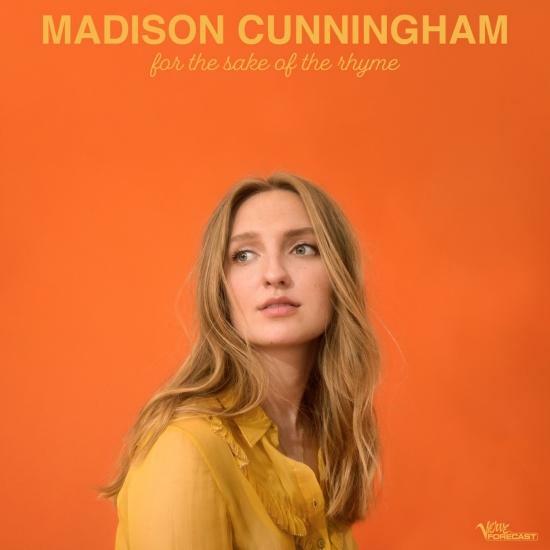 At 20 years old, Madison Cunningham has already established herself as a dazzling and gifted singer-songwriter. Her EP, Love, Lose, Remember, came out in 2017. A regular musician on this season of Live from Here, Madison recently took some time to tell us a bit about her childhood, writing process, and some of the songs and artists that inspire her. You debuted this otherworldly, gorgeous new song on the show in mid-January called “Beauty Into Clichés.” Can you talk about its inspiration? It’s breathtaking. There’s some songs that are like blocks. Piece by piece you build them. Sometimes laboriously. Maybe you ﬁnd a new block to add to the stack every other day. And then there’s songs that are already made houses and you just get to walk through the door. I was driving to Walmart in Orange County, which I still can’t remember why I was going there, and the ﬁrst couple lines of verse one popped into my head. (It’s safe to say my Honda is responsible for ﬁnishing most of my songs). When I got home I sat down at my parents’ upright piano and it was like I was copying a song that was already written. The meaning became clear to me later on. I get spooked by songs like this when they come around because I try to go back and reverse the steps to ﬁnishing it and it’s like trying to remember a dream you had the night before. Hopefully one day I’ll get to meet the spirit who wrote it.